The mechanical footprint is compatible with all Artex and some other ELT manufacturers products footprints. 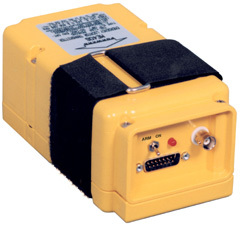 The ME406 features single antenna output feeding a wire whip or a rod antenna depending on the aircraft speed. Whip antenna works for aircraft at 250 knots and below and the rod antenna is suited for 350 knots and below. This Artex ME 406 with Rod Antenna comes with a complete install kit.